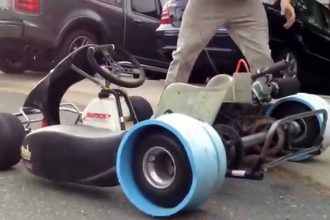 When racing technology trickles down to spice up even a dullest of family transit solutions, it suddenly becomes the lot easier to justify the paychecks of those maniacs who drive around in circles for fun. Well, the Toyota Yaris is the latest car to be submitted to the whims of a race track, with any luck the next model will carry over some of a character that this rambunctious little racing machine has. Here we see what is usually the polite little hatchback unleashing some pent-up anger and as it prepares to race in the 2017 WRC series. So, watch as it trains to take on the competition by soaking up jumps and the shoveling around earth with prolonged power slides. 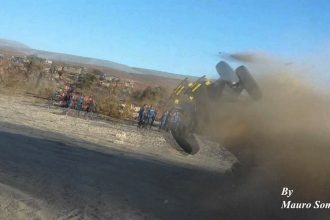 INSANE Barrel Roll Truck Crash At The Baja 1000 Event!